20+ specialist kitchen painters, furniture painters and decorating experts reveal their trade secrets. Homeowners can read our case studies showing how we transform tired wooden kitchens & furniture with beautiful hand-painted finishes. DIY and trade raise your game, avoid basic mistakes, and save time & money following our reliable, practical and forward-thinking approach. We only recommend the materials, paints & tools we rely on. Tips and pointers on insurance for painters & decorators & contractors. It is a quick drying, low odour water-borne paint for doors and trim. Kitchen tough. 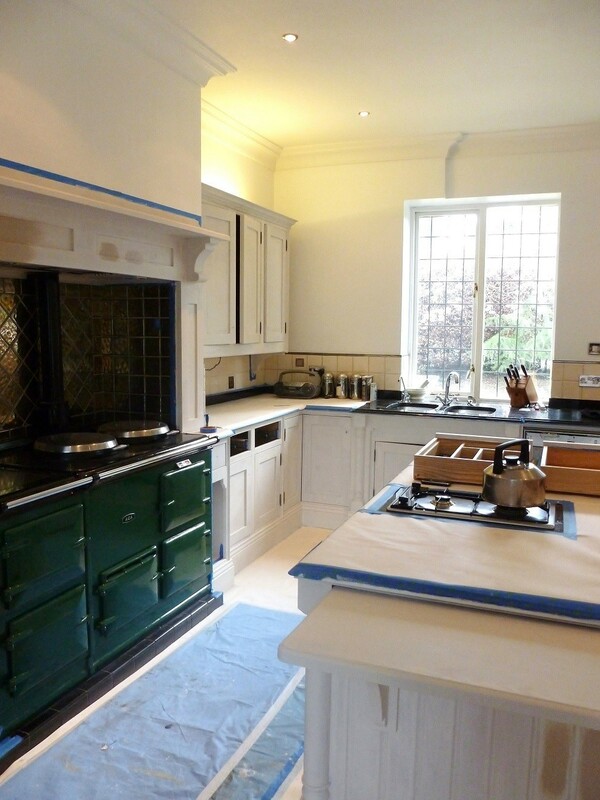 Yorkshire based kitchen and furniture painter, Lee Simone, shares his recommendations for products for preparing kitchen cabinets, based on extensive use. The first major stage of any kitchen or furniture painting project, (once any handles have been removed) is to ensure things are completely free from dirt and grease. If any dirt or grease remains not only do you run the risk of a bobbly finish but the paint won’t actually adhere properly to these areas and will come away over time. My personal favourite is the citrus based cleaner/degreaser * Krudcutter Original. 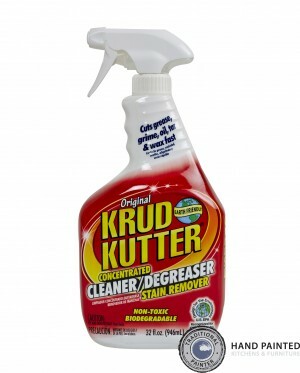 This really is a fantastic product and has dealt with every aspect of furniture and kitchen cleaning I’ve thrown at it. Long gone are the days of using Sugar Soap! Another good cleaner/degreaser being used by some of the guys is *Fluxaf Pro Clean, also available from www.mypaintbrush.co.uk. Pro Clean comes with the clean, safe, biodegradable credentials, and comes in concentrate form. So the kitchen painters are doing most of their cleaning with a standard mix of 10 parts water to 1 part Pro Clean, which makes it very economic. Also, as a concentrate, it is very flexible, used from neat through to 100:1. After the cleaning and masking stages (see below) comes the very important sanding stage. 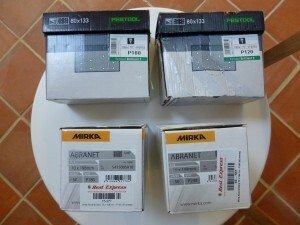 At Traditional Painter we tend to use one of two electric sanding kits, Festool or Mirka. 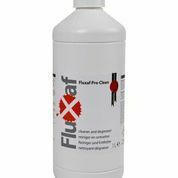 Each is a dust-free system and can be fitted to some hoovers or their own specific dust removal base units. Thorough sanding is a pivotal part of any preparation as it creates a ‘key’ which allows the primers to do their job properly and adhere to the bare wood or other prepared substrate. Thorough dust extraction at source has many obvious advantages to homeowners and users alike. I am currently using the Festool RTS 400 Q-Plus GB 240V Orbital Sander after a glowing recommendation from Tony Pearson-Young. The RTS 400 Q-Plus is a brilliant bit of kit and far and away the best hand sander I’ve ever used. 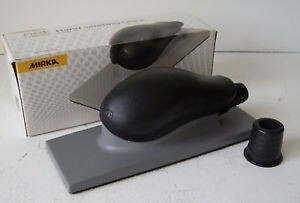 It’s extremely lightweight and has variable speed settings, making sanding a much more pleasant experience. It’s not cheap, but as I always say – you get what you pay for! 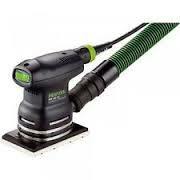 Some of the other TP guys use the Mirka Ceros and have had great success with this nifty bit of kit. Like the Festool, it is an orbital sander and has a variable speed setting – very important for maximum control and effectiveness. It also comes with different size orbits for fine through to rough sanding patterns. It too is a virtually dust-free sanding system when combined with their dust extraction unit. The CEROS has been superseded by the DEROS which is a surprisingly more advanced tool than even the CEROS. As I don’t do any ‘normal’ decorating the shape of the Festool suits me better as personally I find a rectangular shape works better when working on kitchen units and pieces of furniture. The Flex mini palm sander is proving a reliable alternative entry level dustless sander. For around £30 it is square edged, has a velcro pad and clamps, making it very flexible in that it doesn’t tie you to a particular type of abrasive. And with variable speed, dust extraction, 2 year warranty, and made by Flex, (who are the other Festool from Germany), not much to go wrong there. About Ceros and Ceros reviews and CEROS feedback on forum. As I use the Festool RTS hand sander I use their own sanding pads – in the case of kitchens and furniture – the Brilliance 2. They attach easily to the velcroed base plate and have specifically placed holes through which the dust is pulled through and extracted. 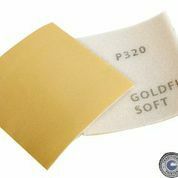 I usually use a combination of 120 and 180 grit pads, depending on the surface being sanded. 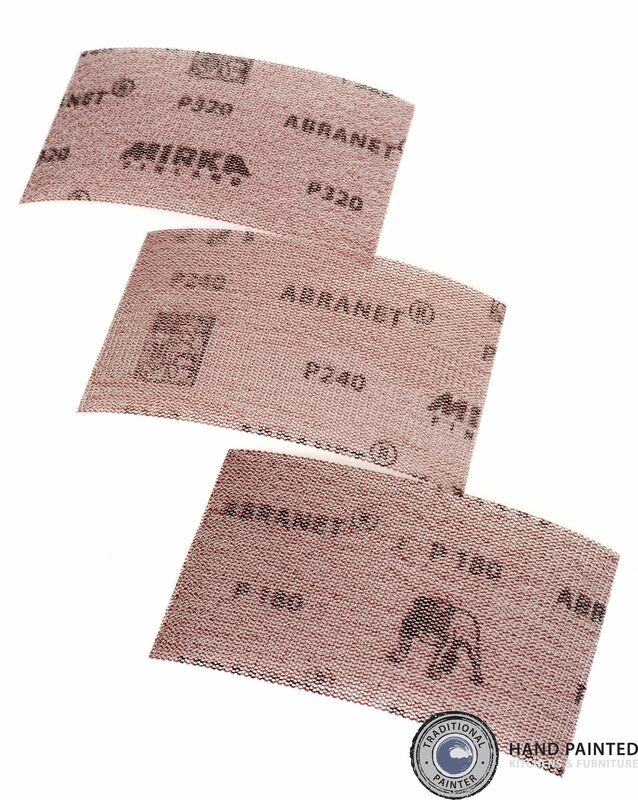 When doing any hand sanding, I tend to use my Mirka Hand Sander Block aka the Abranet Starter Kit, with their fabulous Abranet Strips. 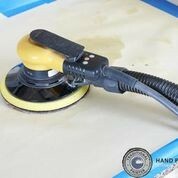 The sander has a hose that can be attached to my dust extractor and the strips are made of a specially designed net fabric with thousands of tiny holes which draw the dust through. They have great longevity compared to standard sand paper and are very flexible making it easy to sand problem areas, beading, edges, lips etc. 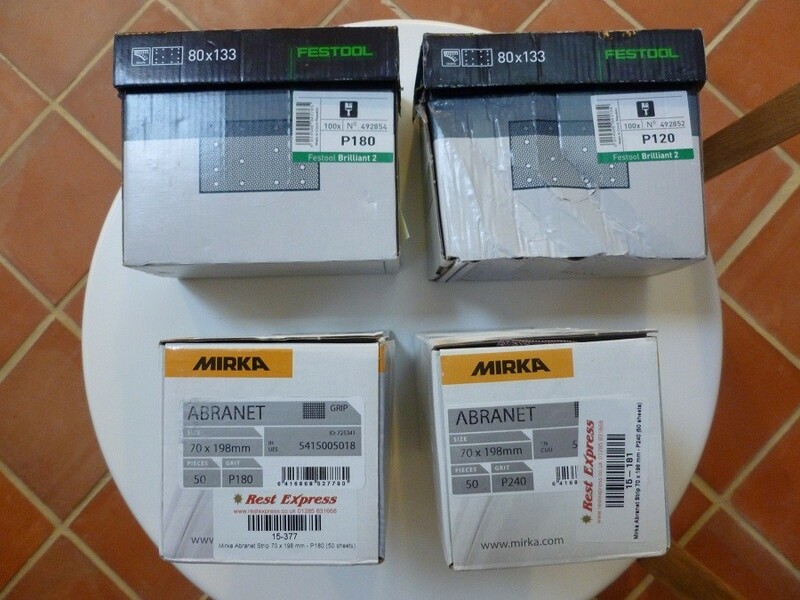 I have recently been hearing a lot of good things about the Mirka Gold Flex – a soft and flexible ‘pad’ that has been developed for sanding profiled surfaces and irregular, difficult-to-reach details by hand. I have just ordered some and am looking forward to having a play – watch this space! With all my kitchen painting projects, and many of my furniture ones, I mask off large areas to ensure a lovely crisp line and prevent paint from getting anywhere it shouldn’t. In the end, I personally feel it saves time to mask things off. To stick the lining sheets together, I use standard masking tape, but for the other main parts of the kitchen I use 3M’s Blue Edge Lock Tape. This a fantastic tape that leaves a lovely crisp edge, has no bleed through and can be easily and cleanly removed even after 14 days. 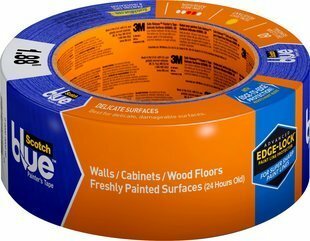 For more delicate surfaces or for masking off wood floors, wood interior trim etc I always turn to my favorite or favorites 3M’s Delicate Surface Edge Lock 2080EL tape. 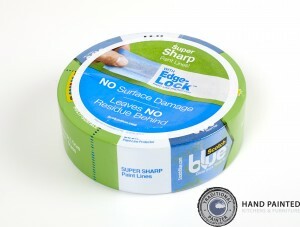 This tape has the same great clean edge, easy removal qualities as the standard Edge Lock but can be used to mask off wood and has a safe removal time of 60 days! If you’d like to read more Blogs or see loads of lovely pics and case studies, please visit Lee’s website www.imaginativeinteriors.co.uk. Many thanks for reading and please look out for his next blog on Primer and Top coat Recommendations 🙂 And to see the level of finish that Lee achieves with these products, check out his case studies. We appreciate you taking the time to read this. Please share it on Twitter, Facebook, or print it out for reference. Thanks. Would you like to add or ask something? Please note, all information on this website is presented in good faith. By viewing this website you accept complete responsibility for how and where you use such information.